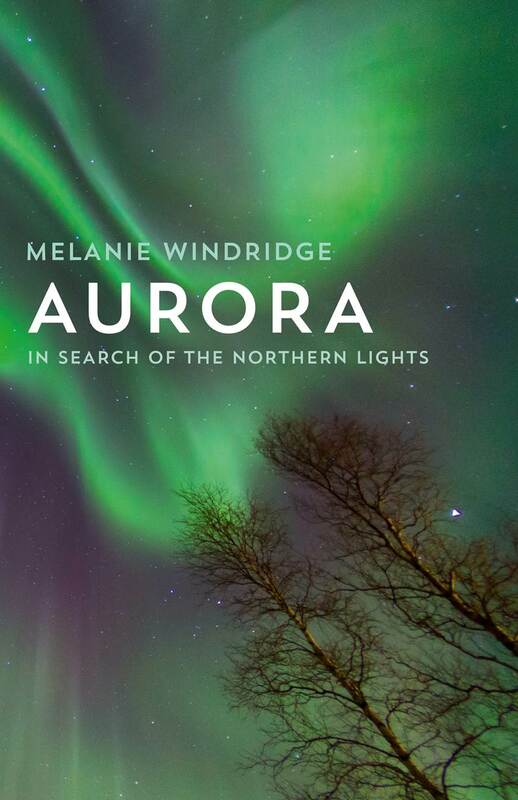 As I finally understood how and why the Northern Lights happen, thanks to Melanie’s presentation at Gillingham School (though I still like the idea of polar bears shining red, green and blue torches up to the sky – “Aurora Bearealis” theory!) I decided to have another go at seeing them. I booked a 4 night trip back to Abisko and then to the Ice Hotel. Ribbons of green aurora in Sweden. Abisko was experiencing a really weird weather pattern which had seen the ice on the lake melting – no chance of driving a car across from one side to the other as in previous years. This meant a rather hairy walk/slide to the lake on night 1 where a group of tourists thought it a good idea to light a fire and shine headtorches as much as possible – as the lights didn’t appear fortunately this didn’t become an International incident! Night 2 was a trip to the Mountain Station in a balmy -7, which made it much more pleasant than usual on the lift and at the top. A brisk wind cleared the clouds – we could see stars and the Kp Index was good… so why were there no lights? Aaaaaaarrrrgghhhh! 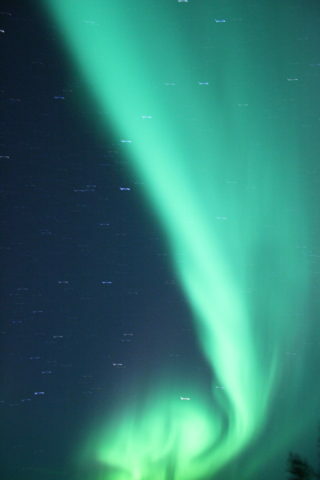 Such is the life of an Aurora addict! 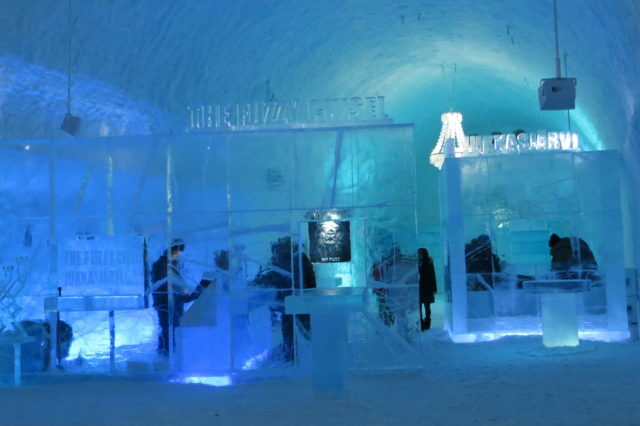 The IceBar in IceHotel 365, Sweden. Up early for an attempt at ice carving – mine progressed through various morphs of diamond/Mt.Everest/pineapple phases before emerging as a sapphire. After a bright sunny start we had the most magnificent snowstorm which dropped about 3 inches of the stuff in one hour. I had booked a night snowmobile tour so this was good news – 1 last chance! As we left it started snowing again and this progressed to a full on blizzard for half an hour – good fun following the tracks on the snowmobiles in front with large white flakes swirling around. It stopped snowing, we came to a clearing, switched off the headlights and stared upwards – very pale but definite green fingers and swirls appearing. We headed off again, then another check – the lights getting stronger and cameras were actually recording the lights. Another 10 minutes to our destination of a cabin in the woods where hot drinks and food awaited… but, more importantly, Mother Nature aka Goddess Aurora decided to greet us too. 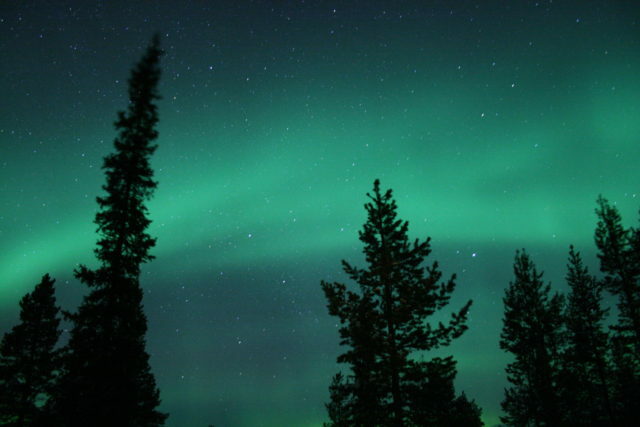 Green northern lights seen in Sweden. We were met by the most awesome sight of green waves reaching up from the horizon to as far upwards as we could see: the most intense, shimmering spectacle above, in front, behind, to right and to left that grew stronger then faded then re-intensified almost as you watched. 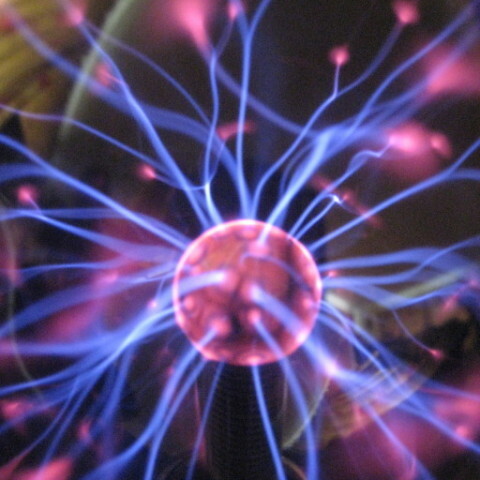 It was mesmerising – so much so that even I stopped taking photos for a minute! I’d not packed my tripod as no room on the snowmobile so I wedged my camera between the throttle handle and wing-mirror and squeezed the cable release as gently as possible. After about 20 minutes the aurora gradually seemed to run out of energy and receded – time to check the photos inside the cabin. Bad move – all lenses fogged up with the change in temperature – Doh! Fortunately I remembered to check before heading out again after half hour. There was no movement but the sky was the most magnificent green studded with zillions of tiny stars and with handily placed Christmas trees in the foreground. I managed to get the shot (below) that is now on my phone and on my wall as a 16 x 12 canvas! Green aurora and Christmas trees on a snowmobile route from the Icehotel, Sweden. Elated we headed back to the Ice Hotel (no breathalysers this time!). Having parked the snowmobiles we were in for another treat – another display! 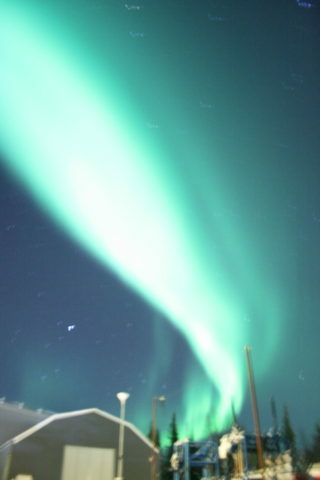 Sadly my foreground had to be a maintenance building at the Ice Hotel but hey, it’s the lights that count. 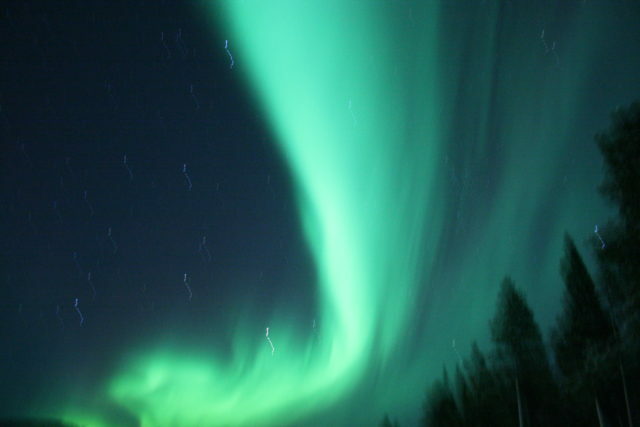 I can only describe this show as a green tornado effect reaching up towards the heavens from where it came. I can believe people who say they hear the Northern Lights as well as see them – there certainly was a collective “wwwooowwwwwwwwwww” from my fellow snowmobilers looking up! At breakfast I was told that locals considered this the best display at Jukkasvaari for 6 years, but one thing I’ve learned from my trips – the fewer people see the display the better it was! I do know this was the best aurora I have been lucky enough to witness – a month on and I still smile when I think about it or look at the photos. Will I try again? Probably not in Sweden and also not in the next couple of years as those who know about these sort of things suggest we are now approaching a low ebb in the solar cycle – but Never say Never! Read part 1 and part 2 of Rosie’s story to get the full picture of her adventures. A very bright aurora and an IceHotel maintenance building, Sweden. 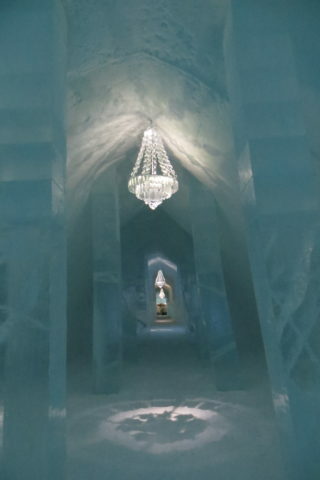 A corridor of the Ice Hotel, Sweden. 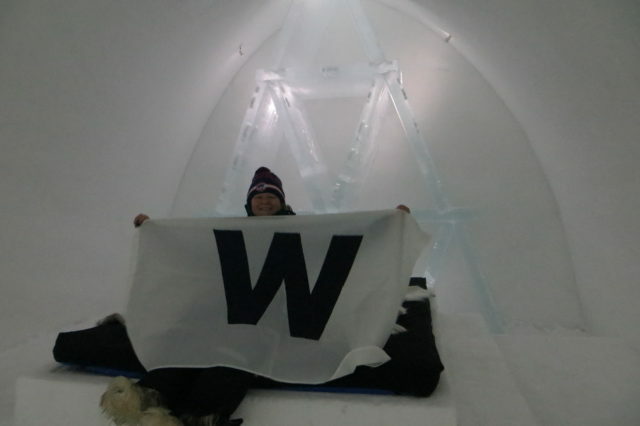 The author, Rosie Thompson, in her Ice Hotel room with the Chicago Cubs victory flag, celebrating their World Series win.